Dell’s power-packed, portable laptop and fierce MacBook rival, XPS 13, just received a major design overhaul for the first time since 2015. 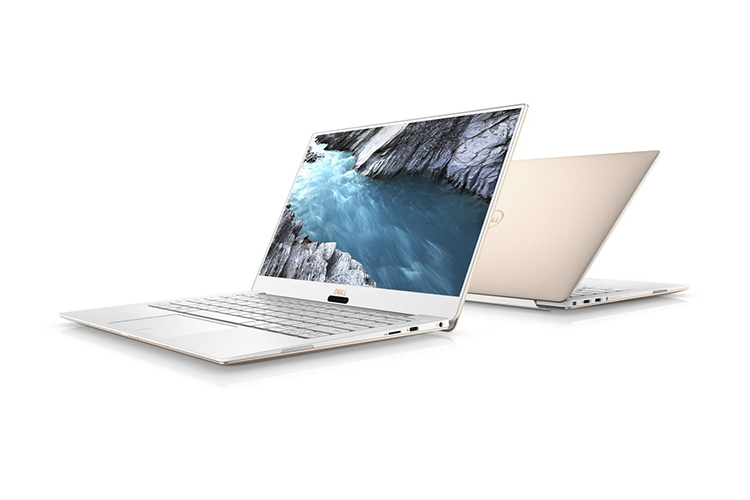 While information about the XPS 15 Series was earlier tipped away by leakster, Ronald Quandt, Dell has revealed the details on the 2018 lineup of XPS 13 laptops which will be showcased at CES 2018. The upgraded series gets 8th-generation Intel Core processors, updated ports array, and claims of a stunning battery performance. The new models also receive a major bump in terms of display, with a new 4K option, as well an essentially redone body including the material of build. The updated XPS 13 now comes with a 4K screen, up from the QHD+ in the earlier models, that has a resolution of 3840×2160. Dell has retained the Full HD model for those looking for a longer battery life, and fewer compatibility issues with legacy programs. Dell claims that the new vibrant display offers 400 nits of brightness with a 1,500:1 contrast ratio. The company has managed to shorten bezels by nearly 23%, making the touchscreen which is equipped with InfinityEdge more alluring than before. Moved by the popularity of rose gold and while in the fashion world, designers at Dell composed a new surface by weaving white dye into crystalline silica material stacking nine layers, one above another. 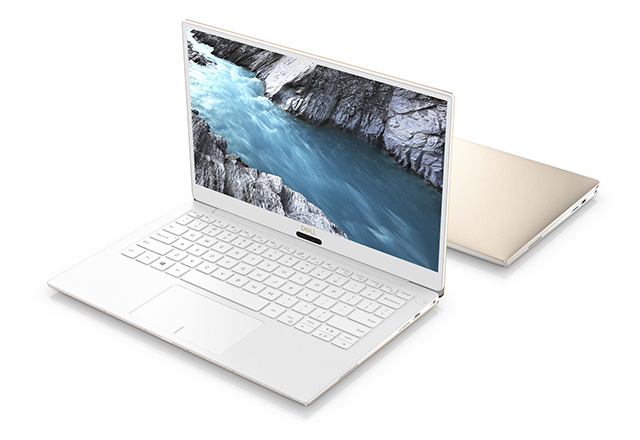 For the first time, Dell has introduced an XPS notebook painted white on the inside which along with the minimal layout makes it strikingly attractive. The latest XPS lineup features dual heat sinks to get rid of heat effectively with the help of thinner and lighter fans. The laptop leans on the edge of fancy with its use of “GORE” breathable fabric meant for heat removal that is a big deal among athletes. Dell claims that new notebook can beat all other competitors in effective heat removal. Dell XPS 13’s 52-watt-hour battery can last up to little above 11 hours on the 4K model, while the Full HD variant can stretch it up to a tad bit short of 20 hours. Moreover, it is touted as the thinnest laptop with only 0.3 to 0.46-inches of thickness and it beats the MacBook Pro in terms of bulk, weighing in at only 2.67 pounds (1.21kg). To complement the stunning display, the laptop comes with Waves MaxxAudio Pro, and has four array microphones for a surrounded recording. It also has support for Thunderbolt 3 in the form of two Type-C ports, along with a Micro SD Card reader. The new XPS 13 is priced at $950 for the Ubuntu model, whereas the Windows version starts at $1,000.